A beguiling adventure that centers on sisterhood, endurance, and the struggle to be truly present. At twenty-two and fresh out of college, Suzanne Roberts decided that undertaking a 211-mile trek through California’s Sierra Nevadas seemed a “fine adventure”—or, at the very least, a satisfactory distraction from the more daunting task of navigating adulthood. She and two friends began a month-long backpacking trip along the John Muir trail—a trek that would put them over Mt. Whitney and wind them gradually toward Yosemite. The three women at the center of the book—Erika, a seasoned outdoorswoman; Dionne, a backpacking virgin attempting recovery from an eating disorder; and athletic, albeit romantic, Suzanne—form an outwardly incongruent bunch. The resultant misadventures of their trip—overstuffed packs, inadequate clothing, food shortages, and stress injuries—may not bespeak great preparedness, yet readers will be unable to begrudge them respect. Encounters with troublesome wildlife, irksome trailmates, and unpleasant weather are all met with humor and dexterous improvisation. Roberts’s narrative is characterized by her refusal to recall blunders with regret. In fact, the decisions that trail experts would most bemoan—carrying a small library of naturalist books over a mountain, hiking in boxers through sleet, simply breaking the rules of the trail—are those which the author recalls most jocularly. They help Roberts to find and center herself in an otherwise daunting landscape, and to focus most acutely on where she is rather than where she’s headed. Almost Somewhere is composed with affecting intelligence, its foci undulating between recollections of the journey itself and moments of introspection along the way, mimicking how one’s mind wanders on the trail. Roberts’s descriptions of the landscape are often lush and always deftly handled. She includes just enough “orange alpenglow slipping from … distant peaks” to make the book intermittently lyrical without it ever verging on cloying. Between these beautiful moments are the meditations that flesh out the project’s specificity: reflections on the competitiveness encouraged even between “sisters,” attempts to discern one’s vocation after education has run its course, and the persistent awareness of how hostile the wilderness can seem to women, for whom “wild” is often a dangerous concept. Almost Somewhere is, at all turns, a gratifying read. 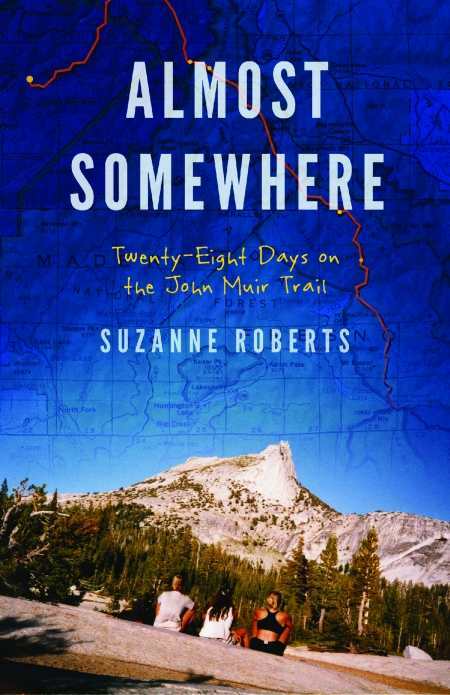 It is intimate and funny, sharp and pensive, and its readers—if not inspired to undertake their own adventures—will certainly be sad to leave Roberts at the trail’s end.